The idea of responsibility is in the essence of everything we do. It is what we eat, what we breathe. The very foundation of Ms. Bay lay in the eternal search for finding the perfect bag; sophisticated and luxurious but without guilt. We had a vision for a brand in which our standards of both ethics and esthetics were met. Strong and bold design with respect for people and environment. Ms. Bay set off in 2018. Ever since its foundation, beauty is the core-value of Ms. Bay, beauty in both form and vision. In the search for the perfect sustainable and durable material, we discovered fish-leather. Not only does it look amazing, it is a perfect eco-conscious alternative to regular leather. It is a waste-product from the food industry, with minimal efforts transformed into leather and super strong. No harmful chemicals were used in the process of making this leather. No toxins hurting our craftsmen, no toxins released in nature. We do it 100% vegetable tanned. Not only our fishleather is recycled from the food industry, also our lining, packaging and presentation materials are recycled. The workshops whom we choose to work with are supporting local grassroots organisations. They supply children with schoolbooks, villages with clean drinking water. Not top-down with the interference of large international organisations, but just providing the little extras to strengthen the community. We currently work with 3 workshops in India, all of which are either SA 8000 or WFTO certified. This means they are audited externally every few years to ensure that their work ethics are in line with the fair trade principles regarding a safe working environment, fair wages, worker’s support and environmental care. Every Ms. Bay item is made by hand by a skilful Indian craftsman or woman. Before we start production, we sit down with the makers to see how every item should be made. A design is never finished at the drawing table but in dialogue with those who will put their expertise into practice. At Ms. Bay, we don’t believe in the fast cycle of fashion goods. We trust that well designed and well-made items last longer. We don’t offer new collections with each season. Instead, we decided to invest our time and energy in perfecting our existing items and our manufacturing. Growing fibres, making items and transporting them is a very intensive and polluting process. Going for less, using it longer and recycling where possible contribute to a healthier and more equitable planet. Ms. Bay made the choice of using only fabrics that are biodegradable or reusable. Currently, we are using recycled poly-cotton as a lining material. We strive to switch to a less water-intense and more environmental fabric such as lyocell or even more innovative materials that have been developed recently. But unfortunately, our production is too small for now to invest in sourcing these as they require larger ordering quantities. We are constantly looking for ways and materials to improve the impact of a Ms. Bay product. We strive to make our next collection more circular than it is today. After a period of researching manufacturing facilities in Europe, we decided to start production in India. Even though our products have to travel further now, we are firm believers in fair trade and its impact on local communities and economy. Our factories are certified SA 8000 and audited regularly. This is a guarantee against child or forced labour or discrimination. In addition, it ensures that fair wages are paid, benefits are provided for, education and trainings are offered, and women and minorities are given equal-work opportunities. The process of turning animal hides into leather is called tanning. This treatment makes the skin soft, flexible and prevents it from decomposing. Most leathers are tanned using a dangerous cocktail of chemicals, including chrome. This causes a risk for both the environment and human health. But as it is a much faster and cheaper method of tanning a hide, nowadays most leather used in both fashion and furniture industry is chrome tanned. Chrome tanned leather doesn’t change much over time but due to the harsh chemical treatment, is has a shorter lifespan. The other technique is vegetable tanning, using only natural tannins. These are bio-synthetics instead of toxins and do not contain harmful chemicals such as chrome. It makes use of the acids found in certain trees, plants and fruits. Even though it requires a great deal of knowledge and time the result is a durable leather that grows a beautiful patina over time. Moreover, if you care for a vegetable tanned leather product well, it can last you several lifetimes..
To limit our waste and increase our use of recycled materials, we never discard any remnants of our leather. Instead, we reuse them to make some of our smaller items, such as the keychain. Smaller cut-offs are shredded and repurposed as leatherboard to reinforce the interior of your bag. Because remember; waste isn’t waste, until you waste it! To ensure that our high standards are met and maintained, we carefully select our partners and we stay in touch throughout the whole production process. Our factories aren’t anonymous labour hands but our allies in our mission to create beautiful products that are sustainable and fair. To achieve this, we regularly visit the factories in India. 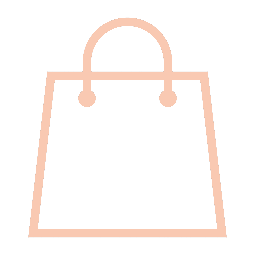 We have an entirely clean production process and we’d love you to know who made your handbag too! We’re sure you’ll fall in love with these skilled craftsmen and women when you see how your favourite Ms. Bay bag came to be. You can meet some of our makers here. Where ever we can, we choose to reuse materials for printing, wrapping and packing. To achieve this, we collaborate with several companies that donate their used cardboard boxes and plastics wrappings. When we buy new materials, we will always choose recycled. To not bring more short-lived plastics into circulation that will end up in landfills, we avoid using non-degradable packaging at all. Vegan leather is an optimistic name for PVC (polyvinyl chloride) or PU (Polyurethane). PVC produces harmful dioxins and uses toxic chlorine. PU is less toxic, but its raw material comes from fossil fuels and solvents are used to paint the Pu layer onto a fabric basis. Moreover, the lifespan of a faux leather item is shorter compared to actual leather as it does not get worn more beautiful over time. At the end of its short life, a vegan leather item cannot be recycled nor does it decay. Until these concerns are answered by new textile technologies and innovations, we decided not to use vegan leather. Animal leather, especially when vegetable tanned or from a waste material such as fish, can be more sustainable when you consider the entire lifecycle. The fish leather used in Ms. Bay products is sourced from sustainable fisheries in northern Europe. All the skins are waste products from the fishing industry that would otherwise be discarded. These skins are upcycled into leather by an environmental friendly tannery. Usually tanning leather demands a large quantity of warm water. Our tannery makes use of geothermal water; water that is heated by the earth’s energy. All other energy required is hydropower. From capture to processing, the fishing industry produces a very large quantity of fish waste. Of an estimated total resource of 80 billion kilos every year, approximately 43% ends up as products for human consumption whilst the remaining 57% is classed as fish and shellfish waste. This is a serious problem. 30% of the waste is turned into fish meal but 28 MT are still dumped every year, mostly at sea.. polluting local waters. Recycling and re-using material that is readily available, not only from the fishing industry but in general, could be a big step towards a more sustainable future. Because fish skins require fewer steps in tanning compared to a mammals skins, it is less intensive to turn it into leather. Common mammal leathers require a process of hair removal, with lye and acid which cause atmospheric pollution and in many cases around the world, also environmental pollution when wastewater full of toxic fibrous debris isn’t collected for treatment and instead discharged into waterways. In fish leather only the scales need to be removed, but this is done through a mechanical instead of the chemical method. Moreover, fish leather naturally has very little colour, so it readily accepts dye. takes dyes very well; obtaining a better result with less dye and water. We strongly believe in “trade not aid”; supporting communities through a fair economy instead of foreign aid. With this economic participation, they can not only support themselves and their children, they also have resources to be active members of their community and members of various local grassroots organisations. There have initiated several activities like stipends for the poor and deserving students in the local area, distributing school textbooks, vocational training, repair of primary school buildings, the creation of water resources, organic farming, solar energy and so on. The Ocean is not only a big inspiration to Ms. Bay and the source of our most important material, fish leather. Oceans also cover 71% of Earth’s surface and contain 97% of all our water. What is more, the oceans contain 99% of the living space on our planet! They produce more than half of the oxygen in the atmosphere and absorb the most carbon from it. The oceans are our climate regulator, a source of food, very important in world-economy with their shipping routes, .. Keeping them clean and diverse is crucial for our and our planet’s health and even survival. At Ms. Bay we try to avoid pollution by recycling and a very strict waste-management. In addition to that, we support The Ocean Cleanup, a project aiming to clean our Oceans of plastic pollution. We donate 5% of our profits to them.